Westone are a cherished brand within the audio enthusiast community. Their house sound is natural, sculpted to create interest whilst retaining enough balance to remain versatile with most genres. It might come as a surprise that such an audio focussed brand is branching into sport earphones, but with extensive experience in both consumer and professional fields, few are better equipped to pull it off than Westone. The Westone Adventure Alpha is completely custom, with a radically different design to the rest of Westone’s earphones along with a completely redesigned cable and accessory suite to match. Such things are very costly which is why most of Westone’s earphones utilize the same housing and why all of them use the same packaging, accessories and cable. Westone have evidently put a lot of thought into the Adventure Alpha, let’s see if all that passion has filtered into their most radical earphone yet. The unboxing experience on the Adventure Alphas is very interesting, vastly differing from that of Westone’s UM Pro and W earphones. Instead of the usual magnetic case, the Alphas are instead showcased on a transparent plastic frame within a transparent cutout. A brief feature list lines the front along with the typical render on a black background. The front swings open to reveal some more details about Westone’s heritage and contact details. The rear visually showcases the features listed on the front whilst the left side displays very basic specifications. The earphones are removed from the top through an unusual pull tab design allowing the plastic assembly to be removed; it’s a very visually striking way to package an earphone but makes repackaging essentially impossible. A tray slides out from underneath with the carry case and other accessories. Westone include a more rugged case with the Adventure series that twists close to form a strong, presumably weather resistant seal as opposed to the usual clip style monitor vault. The inside is lined with a dense spongy foam whilst the exterior’s rubberized finished prevents accidental drops and slips. It’s a little large for a portable case, about the same size as the Orivet Primacy case, but it does a great job protecting the earphones. Inside the case, Westone include their brilliant and almost overly comprehensive selection of Silicone STAR tips, a few sets of True Fit foam tips along with a wax removal tool. I’ve always had a positive experience with Westone’s eartips, the star tips in particular just fit me perfectly. They’re well moulded, soft in the ear but internally ridged to prevent them from collapsing upon themselves, something the Spinfits are quite prone to. Overall I have no issue with the way the Alpha’s are packaged and outfit, it’s extremely comprehensive, more so for a $150 earphone. Fit is especially important on sport earphones in order to counteract the vigorous forces exerted during physical activity. The Alpha’s follow in-line with Westone’s other earphones, assuming a typical pod-style housing in culmination with a stable over ear fitment. Long story short, I think the Alphas are brilliantly designed, I love the aesthetic, the feel and the comfort. Whilst Westone have always made comfortable earphones, I did personally experience slight comfort issues with their latest W series earphones due to the tubby faceplate swapping mechanisms. With the UM 50 Pro that I recently reviewed, I stated that these issues were mostly alleviated and the Adventure Alpha is just as comfortable if not more so on account of their smaller housings. It’s hard to judge in online renders and images in reviews but the Adventure Alpha’s are actually very small, one of the smallest monitor style earphone I’ve tested (image above for reference, UM 50 Pro on the left). The housings barely contact my ear; the relatively short earpieces are suspended purely by the tension of the rubber tips and the routing of the cable which works wonders for long term listening. Long term comfort is enhanced by the Alpha’s flat profile with the inner face being completely flattened and the outer face very smoothed off. This grants them with a very deep insertion and, being full sealed, class leading noise isolation and fit stability. One thing to note is that the Alpha’s have considerable driver flex when first inserted. The earphones haven’t been damaged at all in my usage but it is, as always, a concern. In terms of build quality, the Alphas are once again one of the best monitors I’ve felt. The main housings are made from a magnesium alloy similar to that employed on Lenovo’s high-end business laptops; they feel just as light as plastic but have a reassuring firmness in the hand and ear. Each earpiece is finished in a refined speckled grey and the ovoid plates on the outer face effectively dissipate wind noise when combined with the flush fitment, resulting in the least wind noise I’ve ever experienced from an iem. The rear portion of the housing has a ridged rubber exterior to protect the earphones during drops, it should also produce a softer fit for those with smaller ears. The nozzle is also integrated into the housings producing increased strength; I put a decent amount of force through the nozzle and it didn’t budge despite its thin diameter. Simply put, the Alpha shouldn’t have any difficulties dealing with the rigours of active usage. Up top the traditional MMCX connector makes its return although it is the slightly shorter Westone MMCX connector (aftermarket cables will fit but might be a bit loose). I’m not sure whether my Alpha is of a particularly new revision, but judging from other’s comments, Westone must have updated the connectors on all of their MMCX earphones. The connectors are just as tight as my UM 50 Pro and being gold plated, I had no issues with intermittent audio or accidental removal. Both connectors have been absolutely reliable during my past month of active usage. Westone makes a good cable, the EPIC line on both their W and UM series earphones are some of the best in the business. But the cable on the Alpha is a little more hit and miss. I’m happy to see the return of the heat-shrink style ear guides from the UM Pro line as opposed to memory wire, and the connectors are all of high-quality with great strain relief whilst remaining case friendly and sleek enough for portable use. The remote is also a high point, the buttons are all large and well separated with a lot of tactile feedback. The built-in mic is also good, if not great with voices sounding a little distant due to the water-resistant treatment. Unfortunately, the cable itself is a bit of a let-down. Westone have woven reflective fibres into the fabric exterior for users who exercise at night however, this makes the cable very abrasive against the skin. Whilst the cable isn’t particularly sensitive to tangling, this abrasive nature does make the cable difficult to untangle should that happen. The fabric also transmits a lot of microphonic noise even with the over ear fit which, in addition to the abrasive nature of the cable, makes running with the Alphas is a noisy mess. It doesn’t help that the fabric also has a tendency to absorb sweat and water which is sure to greatly affect longevity. At least the cable is removable so users can replace it with one of their choice, but it’s still disappointing to see such oversight from a company as experienced as Westone, I would take their EPIC cable over this one any day. Sport earphones get a bad rap on the internet from any remotely critical listener and much of that criticism is due to the way these earphones handle bass. But I think people forget how loud gyms really are and even if you don’t frequent one, the thumping of each step during a run or the pounding of one’s own heartbeat during activity easily overpower the bass response of whatever you’re listening to. So I levy that the issue lies not in the bass emphasis itself but how it is implemented. The Westone Alphas have a big bass boost, that’s not much of a surprise, but I do think Westone have done a better job than most in implementing such tuning. It’s still not perfect, the earphones are much better suited towards the outdoors than at home, but the boost at least lies in the right place at the lower extremities of the bass response. Through such tuning, Westone achieve a sound that works wonders on the go but remain perfectly listenable in quieter environments. That being said, these are no wonder buds, whilst they are still enjoyable for home listening you will easily be able to find better sound at the same price. Being a sport earphone, bass has the most prominence in the sound. The rest of the sound is quite balanced with a gentle slope in the upper mids before evening off into the high end. Usually earphones with a more recessed midrange have an almost exaggerated sense of soundstage space, the Sennheiser ie800 and Fotex TH900 being perfect examples. But due to either the less than ideal imaging or sedate treble tuning, the Alpha’s don’t have have much soundstage at all. Imaging is average, the better $100 earphones out there are more precise, whilst space is similarly limited with a very intimate presentation that has some width but limited depth. Despite this, separation is pretty good and the Alpha is actually one of the less congested bass focussed earphones I’ve tested around this price. In terms of drivability, the Alpha’s don’t require a lot of volume due to the bassy sound and fantastic noise isolation but due to the water resistant coating on the driver, they do require ample amounts of power to reach normal listening levels. Despite their low 21ohm impedance, the Alpha’s are pretty insensitive with a 97dB rating at 1mW. In usage, they’re about 2 volume notches less sensitive than my Sennheiser ie800’s and about 3-4 less sensitive than the UM 50 Pro’s when driven through my iPod Nano 7G. They didn’t seem particularly sensitive to output impedance and amping yielded minimal performance gains in my testing. The Alphas should still reach adequate listening levels for most listeners but keep in mind that I’m a low-level listener and am already using about 1/3 of the Nano’s maximum output. High volume listeners may have troubles with weaker sources such as iPod Nano’s or Shuffle’s. Ironically sub-bass doesn’t have a lot of emphasis on the Alpha, micro-driver earphones tend to have limited extension and the 6.5mm micro-driver Alphas are no exception. Sub-bass is perfectly present but rolls off at the very bottom with a softer impact than larger dynamic driver earphones. It’s mainly in the lower bass that Westone have pumped up the bass, with great emphasis adding copious body and rhythm to the low end. But just because the emphasis lies in the lower bass doesn’t mean Westone neglected mid-bass and upper-bass, both of which are well tuned with a much more subtle emphasis and convincing texture. This grants a thick bass response without too much mid-bass bloat or upper-bass bloom and low notes avoid the usual tubbiness I get from other sport earphones. They do tend to sound a little congested, even boomy at times and since the bass boost isn’t linear, bass can sound strangely absent in certain tracks. 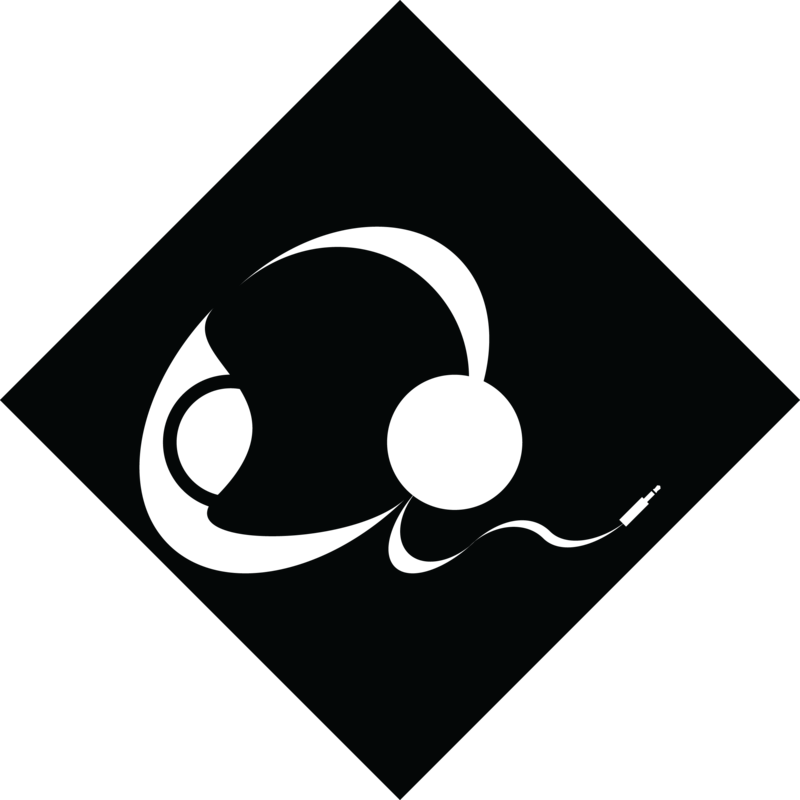 Bass texture also suffers in songs mastered with a lot of low end, at home, drums, in particular, have a tendency to overpower the entire bass response but on the go or in the gym, the earphones retain a rich, bassy sound even when combatting ambient noise. Of course part of this comes down to the exceptional noise isolation but the tuning results in a very versatile outdoor sound. The UM 50 Pro’s told a similar story, just to a lesser extent, as a Stage Monitor designed for use during live performances. They sounded ultra-rich at home but balanced outdoors, the Alphas just take this a little further, still sounding pretty rich even whilst exercising. The Westone Alphas are quite dark overall, presumably to prevent harshness and fatigue at higher volumes. Female vocals, in particular, are quite recessed and slightly veiled but not to the extent that upper mids sound cloudy or muddy. There’s still a surprising amount of detail and definition to the sound. For instance, the clicking of picks hitting the strings in acoustic tracks are perfectly present if not standout as are other details that lie in this frequency range; the Alpha’s just have a softer sense of detail than other similarly priced earphones even if they resolve a similar amount. Upper mids sound smooth and inoffensive, great for high volume listening but microdetails tend to get lost in the mix. Clarity is not the Alpha’s forte, there’s enough to satisfy most genres of music but those coming brighter earphones will likely find them too veiled. On the contrary, the lower midrange is pretty solid. The lower midrange has boosted body overall, it’s warm but clear with plenty of intelligibility. There isn’t too much bass bleed due to an emphasis on lower and mid-bass rather than upper bass. Male vocals sound less recessed than the upper midrange but still recessed nonetheless. They are tonally correct but still a little thicker than I would like. The midrange does sound considerably more balanced when using them in the gym or for travel where ambient noise saps body from the low end. Such a presentation makes the earphones perfect for jazz where the high end tends to become overbearing whilst retaining enough clarity for modern pop and Asian genres. The Alpha’s also sound quite smooth if not as refined as other at-home earphones that pursue a similar kind of dark sound. The high-frequency response on the Alpha’s is a bit temperamental but still quite good overall. Treble is recessed to a similar extent as the upper midrange and though treble details remain perfectly present they sit behind the rest of the sound. Treble is slightly raspy with a thinner than neutral body but retains crispness and definition. Treble notes still have air and extension is good with a subtle roll-off at the very top. As such, some treble details are just not there and most sound more distant than more balanced earphones. The Alpha’s are definitely not for detail lovers but buyers looking for an earphone with a strong bass response and a well performing mid and upper response to compliment will no doubt enjoy the Adventure Alpha. The earphones don’t have a hint of harshness nor sibilance, every detail one would expect from a $150 earphone is present if not more, but the way they’re presented does make the earphone difficult to recommend for everyday use. 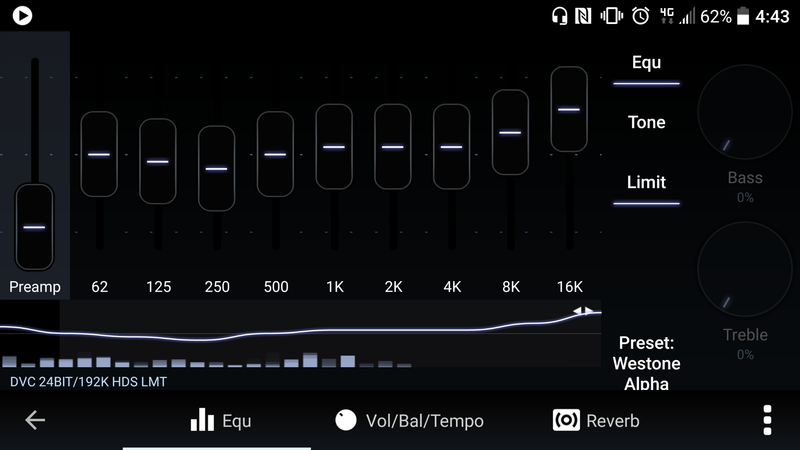 I don’t usually use eQ in daily use but find it a useful tool when judging the technical ability of an earphone beyond the manufacturer’s sound signature tuning choices. As aforementioned, the earphones have all the raw ingredients; they’re well detailed, smooth and have very good end to end extension for a $150 earphone, they’ve just been intentionally tuned in a dark, thick fashion. As such, the earphones respond very well to eQ and, as Lachlan from Lachlan Likes A Thing stated in his review a few years ago, the earphones actually sound quite pleasant when using the bass reducer eQ standard on all modern Apple players. When using such an eQ, the earphones are perfectly comparable with other $150 earphones, achieving a lot more balance and allowing the high end to draw more attention. Of course, there is a limit to what software equalisation can do and the Alpha will still never sound like earphones with a more neutral sound signature from factory, but the difference between eQed and stock is astounding. However, users will also appreciate the exemplary build and fit offered by the Alpha’s not to mention their various ruggedized features which will prolong their lifespan in a vigorous lifestyle. For activity, my recommendation does a 180, the stock tuning being perfectly suited towards usage in areas of high ambient noise. On public transport, during exercise and on the plane, the Adventure Alpha’s maintain a rich, lush sound whilst maintaining a moderate level of detail and high frequency crispness. Regardless of environment and eQ, they still lack the refinement of earphones such as the RE-400 and even Westone’s own UM 10 but those more experienced with eQing will find a technically proficient earphone that’s just as comfortable at home as it is in the gym, it just needs some low-end adjustments. The Alphas aren’t the best reviewed earphones on Head-fi, these are through and through a sports earphone with tuning to match. Even stock, they’re not as offensively tuned as many reviews would suggest. Of course, Westone usually tune their earphones with a darker, bassier tone than neutral and the Alpha exemplifies this house sound. Like the UM 50 Pro that I previously reviewed, the Alpha carries a thick, powerful sound designed to overcome ambient and bone conduction noises, resulting in a sound that will perhaps be a little heavy handed for home listening but one that remains rich when out and about. But whilst the tuning will be more hit and miss with audiences (a lot of listeners simply won’t enjoy the sound in quieter environments), the technical abilities of the earphones shine through when some software equalisation is applied. Accessories – 10/10, Great selection of tips will fit almost everyone, both foam and silicone are included. Included carrying case is on the larger side but is very protective and well-constructed. Packaging and unboxing experience is unique if not super practical. Design – 9.5/10, The design is fantastic, the build is even more impressive. Even the most discerning buyer will have no qualm with the magnesium housings. The cable is a little more controversial, it’s a fine cable in its own right but not what I have come to expect from Westone. The built-in remote and mic function well and maintain equal quality with the housings. The buttons are easily discerned even during activity. Driver flex is a concern. Bass – 7/10, Big and powerful with plenty of slam. Can get muddy in complex passages and boomy at home. Mid and upper bass have great texture and are better judged than the lower end. Sub-bass has good extension for a micro-driver earphone. Mids – 7.5/10, Whilst dark and withdrawn, the midrange is a strong performer. Lower mids are very well considered whilst the upper mids have a nice sense of detail even if they are subtly reproduced. Slight veil to the upper mids but clarity is decent. Highs – 6/10, Smooth and crisp, slightly thin but never harsh. Good extension but treble is too withdrawn to permit a higher score. Soundstage, Imaging and Separation – 4/10, Not a lot of space at all even with distant sounding vocals on account of the withdrawn midrange. Imaging is above average and instrument separation is similarly good, but just good. Overall – 7.5/10, At the end of the day, the Westone Alpha’s are a well-designed, perfectly built set of earphones that were purpose tuned for the gym. If you intend to use them for home use then you will be better served by other models designed for such. However if you frequent the gym but also want a proficient set of earphones that are perfectly usable if not ideal for home use, the Westone Alpha’s might just fit bill.